In "Light-Skinned Girls and Kelly Rowlands," an NYU student befriends a fellow Jamaican whose privileged West Coast upbringing has blinded her to the hard realities of race. In "Mash Up Love," a twin's chance sighting of his estranged brother—the prodigal son of the family—stirs up unresolved feelings of resentment. 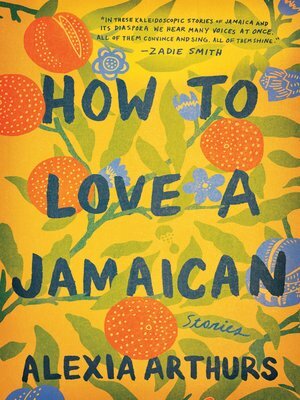 In "Bad Behavior," a couple leave their wild teenage daughter with her grandmother in Jamaica, hoping the old ways will straighten her out. In "Mermaid River," a Jamaican teenage boy is reunited with his mother in New York after eight years apart. In "The Ghost of Jia Yi," a recently murdered student haunts a despairing Jamaican athlete recruited to an Iowa college. And in "Shirley from a Small Place," a world-famous pop star retreats to her mother's big new house in Jamaica, which still holds the power to restore something vital. Alexia Arthurs emerges in this vibrant, lyrical, intimate collection as one of fiction's most dynamic and essential authors.